More than 200 domestic and foreign enterprises will take part in the 26th Vietnam International Jewellery Fair (VIJF 2017), which will take place in Ho Chi Minh City from November 8-12. Among the participants will be many famous international jewellery brands from the EU, Thailand, India and Singapore. They will introduce their latest products, technologies and services at over 200 pavilions. The fair will be divided into several different areas including one for jewellery; a zone for diamonds and precious and semiprecious stones; a display of machines, equipment and technology used in the field; pavilions introducing after-sales and warranty services; and an area for enterprises to conduct negotiations. At the 2017 VIJF, numerous attractive promotional programmes, as well as special care services, will be offered to customers who purchase products at the pavilions. Following over 25 consecutive years of organisation, the fair is considered as a traditional festival for the gemstone and jewellery industry in Vietnam. The event will offer a chance for enterprises to seek more opportunities to expand their cooperation and business, as well as to promote their brands. 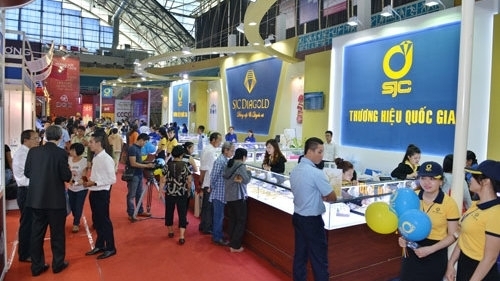 In the near future, the organising board expects to organise the fair twice a year and in other provinces and cities, such as Hanoi and Can Tho, thereby creating favourable condition for consumers to access and buy high quality precious gemstones and jewellery.